For people faced with managing multiple prescriptions and medication schedules, it can become confusing and overwhelming to keep track of proper dosages, schedules, and frequency. Properly adhering to the instructions of each prescription is very important for safety, as well as to ensure that the medications are working properly and having the intended effect. The professional in-home caregiving specialists at Right Choice Caregiving can help clients manage and keep track of their medication schedules. This can be an essential service for people on life saving medications. Because many different types of pills and medications often look similar in appearance, assistance with medication management can help clients avoid accidentally taking too much of one medication, or not enough of another. 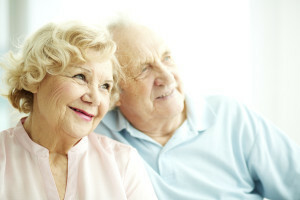 In addition to setting up and helping our clients with medication reminders, the professional in-home caregivers at Right Choice Caregiving can help fill and pick up prescriptions, accompany clients to doctor appointments for new prescriptions, and help to monitor for symptoms and potential side effects. If you or a loved one is having difficulty keeping track or maintaining a complicated medication schedule, the services of a professional in-home caregiving specialist from Right Choice Caregiving can help deliver the necessary support and peace of mind. Taking essential medication to maintain health and prevent illness does not have to be a stressful daily routine with the support of a competent, compassionate in-home caregiver. Contact Right Choice Caregiving today at 800.898.0840 to discuss your caregiver needs in Los Angeles or to schedule a free in-home needs assessment. By California law, our professional caregivers cannot administer medications which includes but not limited to injections, force feeding, IV therapy, and suppositories. It is required to be a license nurse to perform this type of duty. Please call a TRC representative for more information.